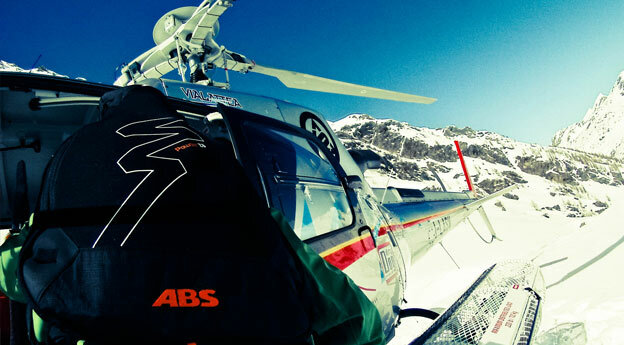 Pure Ski Company, always at the forefront and strongly committed in the use of last generation security technologies, starting from the 2016/17 season will be equipped and provide to its clients the latest and innovative models of airbags backpacks ABS, a new digital communication system, and will continue to use the AVATECH system upgrading its AVANET applications for snowpack analysis more and more careful and precise. 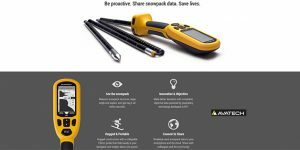 Pure Ski Company has been using AVATECH technologies for three years already, so that all the guides and instructors can share real-time information on the ski areas. During the season our guides perform compression test of the snow within our off-piste skiing domain. All updates and information are available directly on your smartphone by using the AVANET application. Our pilots are highly trained, qualifi ed professionals and trustworthy mountain fl ying experts with an in depth knowledge of their specific flying territory. They all manage landing zones at high altitude with superior expertise and they perfectly know all the areas where they operate, which facilitate flight manoeuvres and landing on the tops of mountains in coordination with our guides to find the best tracks in total safety. All the drop zones at high altitude have been identifi ed on the basis of a careful preliminary study in compliance to the current Civil Aviation rules (helicopter operations over a hostile environment located outside the a congested area). A detailed fl ight plan and daily fl ight activities are submitted to the competent authorities. All helicopters are equipped with a survival kit, radio, satellite phone, and GPS. Helicopters are regularly maintained by experts and in line with European standards for destinations Italy, Turkey, Greenland; Russian standards along with European rules for Arhkyz, Caucasus; and South American standards for Chile. All helicopter companies we work with, are certified air operator for passenger transportation and aerial work. All our guides, ski and snowboard instructors are qualified professionals with 10-year experience in the field of heliskiing. They are all off-track skiing specialists and duly approved by the head of flight operations of the helicopters company. They perfectly know the best and most beautiful pathways and all the hidden corridors in their skiing sectors. Our safety standards are extremely high. We strive for excellence and safety in every aspect of our operations. Every day before leaving for a heliski excursion we verify the level of avalanche risk to ensure your safety and your being able to enjoy skiing. However, you should always be aware that off-piste skiing or snowboarding involves risks, that you are called to share with us. For this reason, before leaving for a heliski excursion with our organization, each participant will be asked to sign a passenger list and a liability waiver form, acknowledging their understanding and acceptance of the risks involved in his or her participation in our activities. These documents must be signed before each ski or snowboard heli-ride with us. Skiing ability level should be proficient enough and a Level 3, international ski school. Pure Ski & Helicopter Service Company is a duly licensed travel agency (No. IM073110054) authorized to sell travel products and related services to ensure a proper conduct of the proposed activities.